Hello Topflight fans! Ericka here and I hope you are having a beautiful spring day. 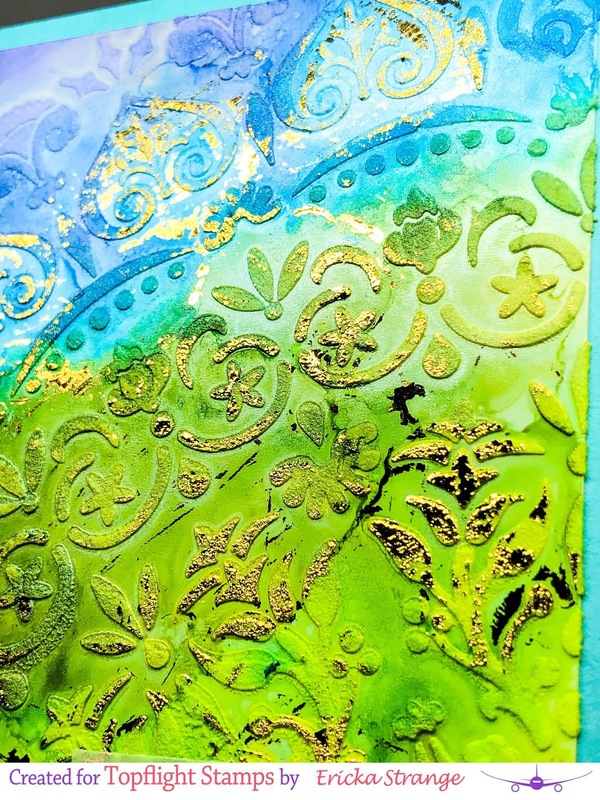 Today I'm playing with a stencil from Alexandra Renke and Alcohol Pearl Inks to make a fun bright card. 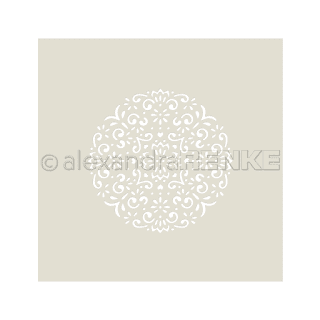 I used my this stencil (which is sold out but could be substituted with this one) with embossing paste on heavyweight Yupo paper. I love this bright look with the random gold. 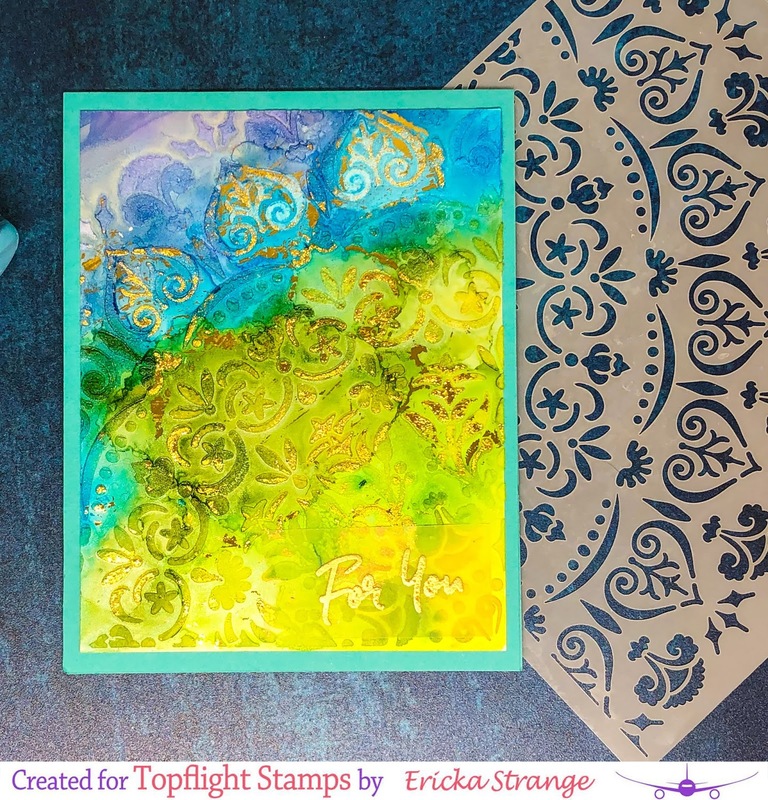 For more information on how I created my card feel free to check out my blog Strangely Creative. I love this card! The colors are gorgeous and the gold foil is super cool. Wish there was a video I will go to your Blog. Great card and technique! I wouldn't have thought of putting paste on Yupo.